The largest and most luxurious riverside room at Mountain Retreat features two bedrooms with a king and twin tatami which can also be configured as a super king! One of the most spacious rooms at the Mountain Retreat with the best views from a secluded balcony. There is an antique sofa which folds out to an extra bed upon request. In this new suite you'll find antique furniture, handmade cabinets and generous modern bathrooms plus a bunk bed in the adjoining room. Kids love it! Our newest room just steps to the river with a traditional queen bed and tatami bed for a friend or child. Modern bath and private outdoor seating by a bamboo grove. Features one queen and one full bed suitable for families or friends travelling together, with private balcony and spectacular river and mountain views. Superior Queen is one of our most spacious and best appointed rooms and is adjacent to the River View Superior twin, convenient for families. Choose balcony or terrace. 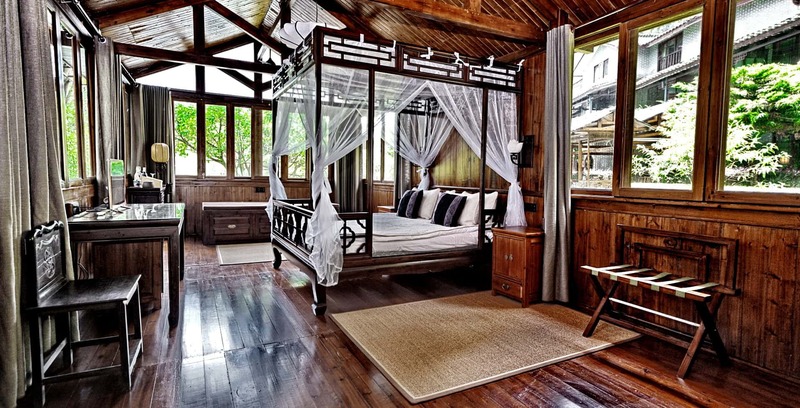 A riverside gem among Yangshuo hotels. Yangshuo Mountain Retreat was originally conceived as a simple eco lodge where expat friends could escape from the chaos of polluted Chinese mega cities. As word spread beyond China, we continually upgraded facilities, adding wireless broadband and a pizza oven...but guestrooms have remained simple as when we began: no telephone, no TV, and locally made furniture. We've stayed true to the authenticity of our original concept, like offering a simple farm to table menu with a few western favorites. Our restaurant now has great wines too, and we are one of the only sustainable Yangshuo hotels where guests from around the world can responsibly experience the beauty and serenity of Yangshuo. 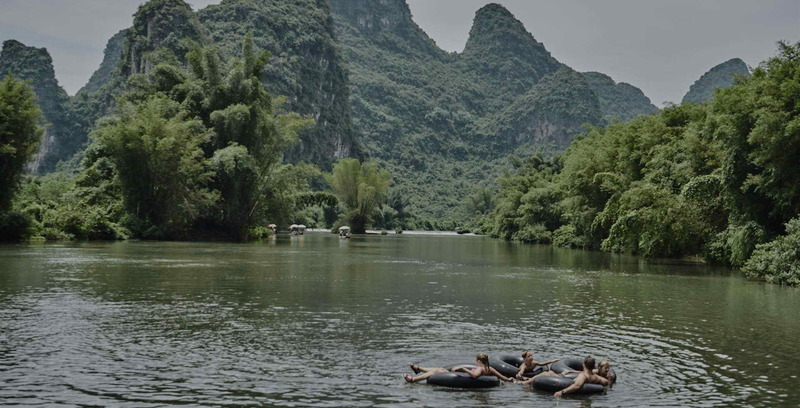 We're unique among Yangshuo hotels for our commitment to sustainability and empowering the wonderful local people who run the Yangshuo Mountain Retreat. Since the beginning we have been strong practitioners of localism - creating authentic experiences for guests by invloving only local people and giving them ownership for the quality of results. Yangshuo Mountain Retreat is one of the few Yangshuo hotels entirely run by people from local villages, over 90% of them women. Upgraded linens, lighting, locally made beds and furnishings, together with a fresh new paint scheme give the Mountain Retreat rooms a new feeling of rustic chic. Just 20 minutes by bike, Yangshuo Village Inn is our sister hotel at Moon Hill, offering Italian delights at Luna on the rooftop. Where else in China can you stay in a 250 year old theatre temple courtyard overlooking endless rice fields? Old Theatre Inn is a registered historic landmark and six-time TripAdvisor Traveler’s Choice winner.